Sometimes route 101 is a little dull. That’s why, when asked to promote the East Village Hygge-themed Christmas Fair we took a somewhat lateral route. It turned out that while the fair was going to be a wonderful day out, there wasn’t anything in it that was going to grab more than the odd listing. Which is, in turn, why we thought it’d be a good idea to launch a Pimp My Beard stand at the event. 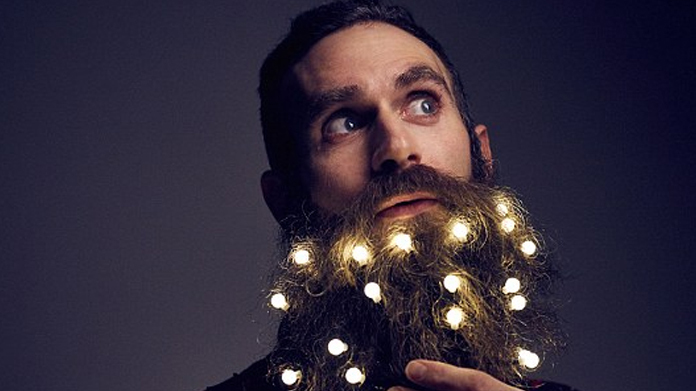 And it’s also why we found ourselves creating the worlds first (and only) Beard Light stand. Armed with some bloody brilliant pics and an understanding model, we’ve been hitting the media all over the world. There aren’t many Christmas Fairs that nailed news on Daily Mail, Metro, Evening Standard, ITV a half page in the Daily Telegraph and hipster coverage all over the trends sites … Mashable (now shared 25,000 times), Bored Panda (another 26,000 shares), MyModernMet, Design You Trust, Mental Floss, Menswear Style, Esquire, Sortra, Deviant, Neat-O-Rama, The Awesome Daily, Earthables, Relevant … the works. What’s more, every piece mentioned East Village, the Fair and the dates. A lateral approach. But a bloody successful one. And a LOT of fun to do it too.